The Grendizer distributed in the Europe market was called Goldorak and was a popular France anime show. 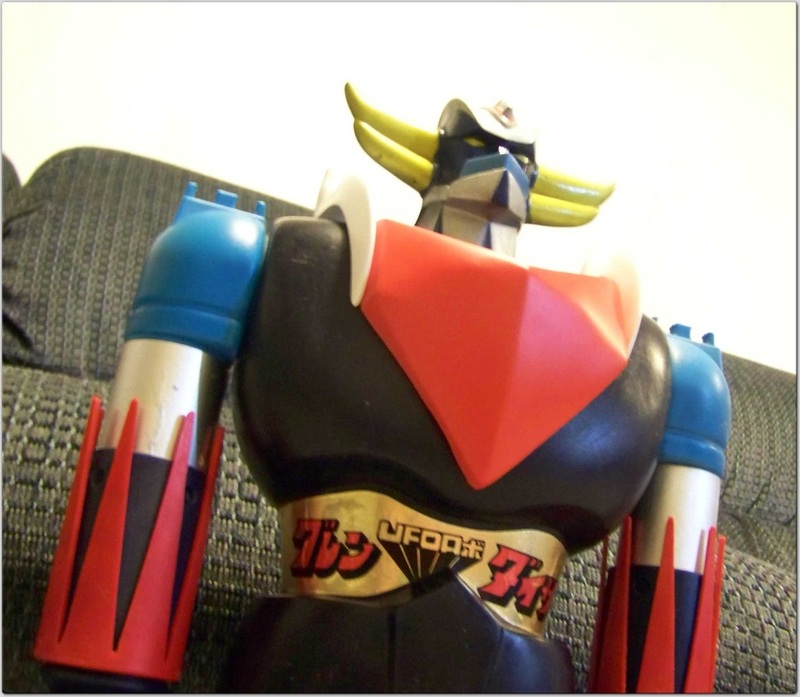 Most common is the "Dynamic Kikaku Toei Doga"
Less common is "Fabrique En Alemagne"
And more less common is "Made in France"
Modifying Goldorak was one of my first custom projects to provide it with a Left arm that looked like the right side. The Popy Grendizer has smaller fists and a slightly different cuff and red blade piece. 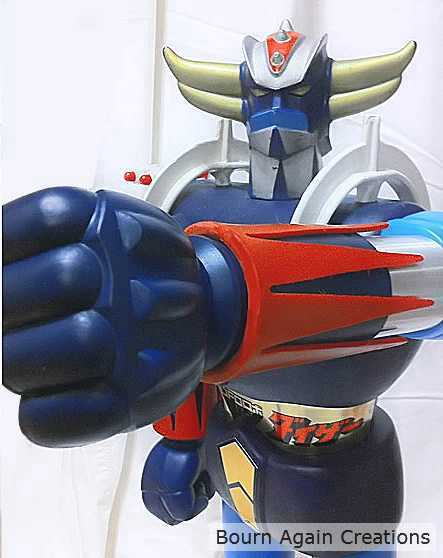 To make a Left fist, I started by molding and copying the "laser ports" of the right fist and applying them onto a standard left fist. 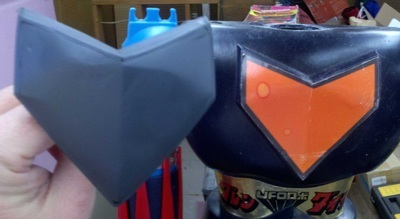 The Right cuff was copied along with the red blade. The fist color is very close to the original, but with different lighting, they do give off a slight different hue from the vinyl and the 2 part urethane plastic resin. 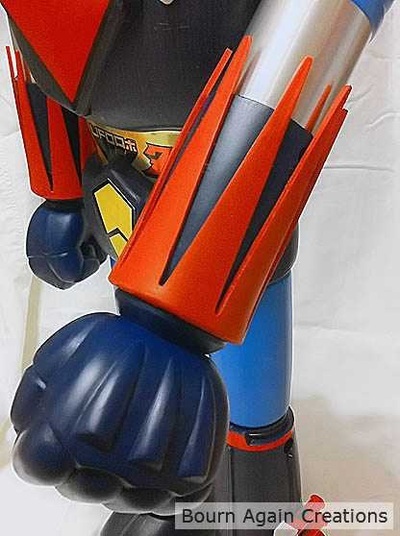 The reproduction fist is hollow, but is a little heavier than the original, but is quite durable and has some flexibility (not hard as a rock). The red triangle outer sleeve is made with a pliable plastic resin and has close to the same feel as the original. 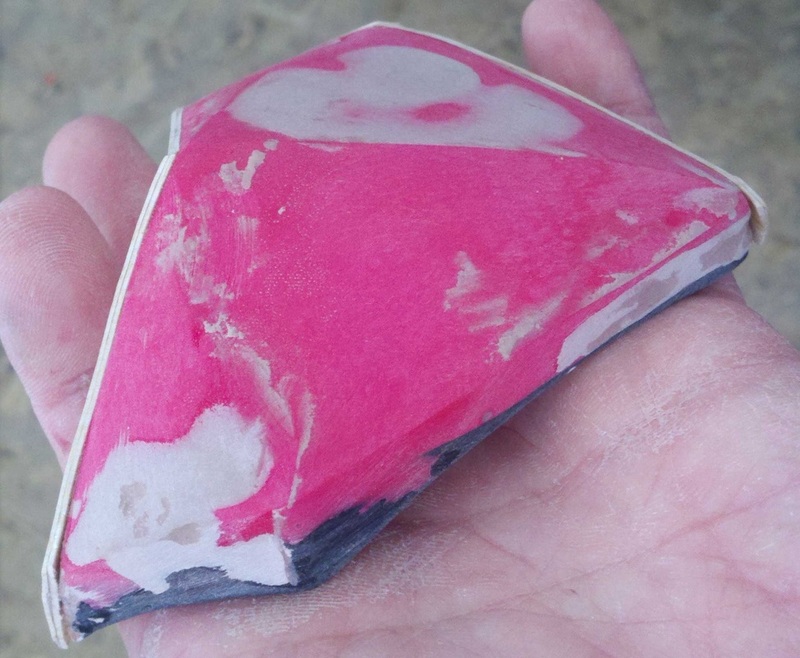 The piece can flex a good deal, but one should not attempt to try and remove it as the circular part will not stretch and it will end up cracked. 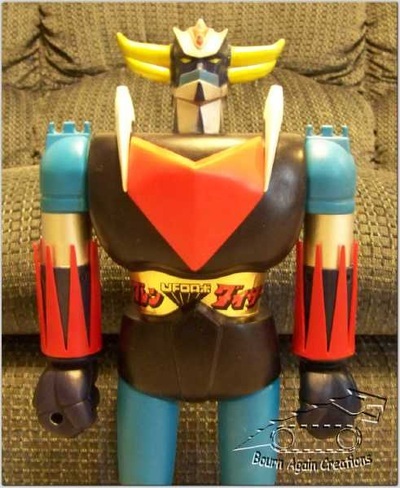 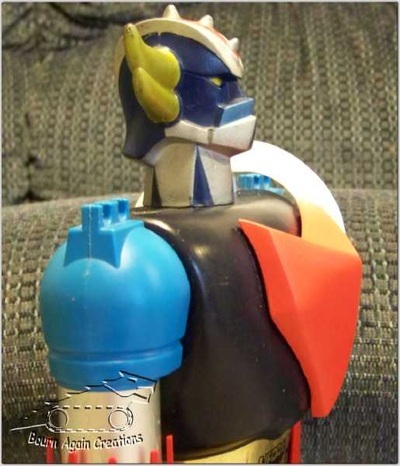 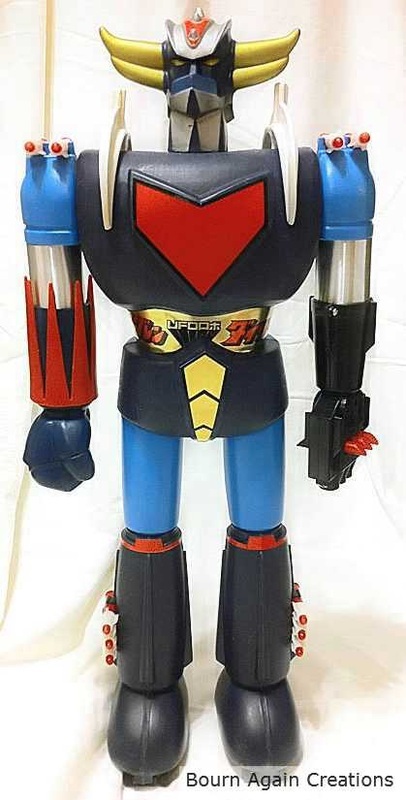 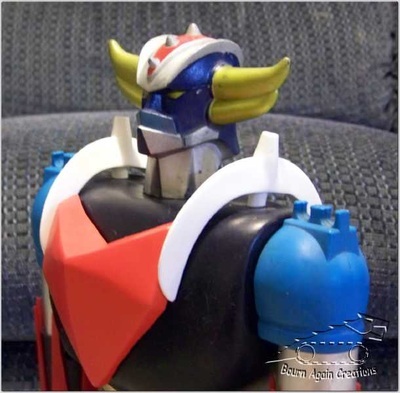 The next customization to Goldorak was to give it a larger protruding chest appearance as Grendizer. The chest piece is over sized by about an 1/8" all around. 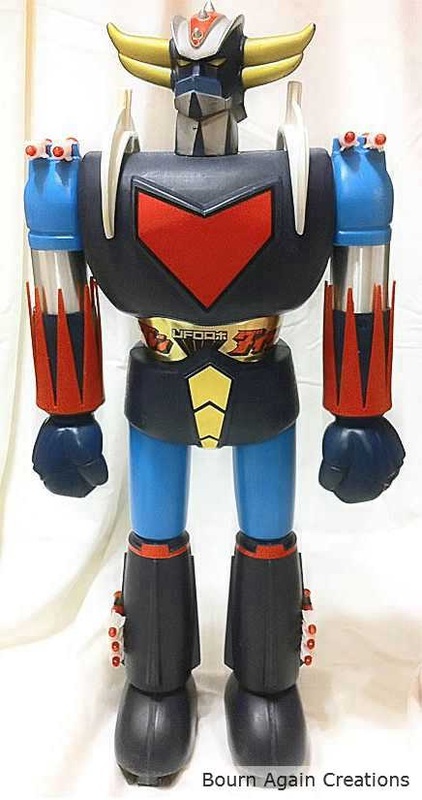 This does make it larger than the Grendizer chest, but looks nice at an angle versus a straight on view. 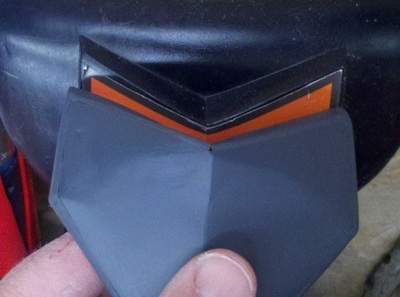 Some final fit photos and a few in-progress photos as I built up the initial front view of the item. 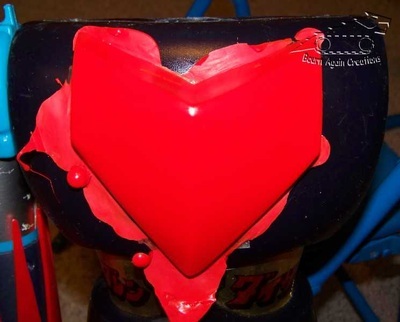 Then made a mold of the front part to then pour resin into it and hold up against the Goldorak torso. 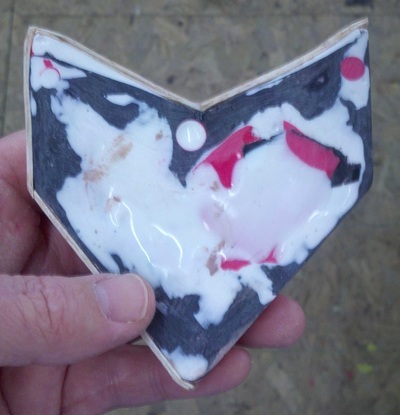 After cleaning the piece shown in the last photo, I then put it back into the front mold and could pour the back mold piece.